Home » Papercut_Dragon » Pictures » Punk'd! 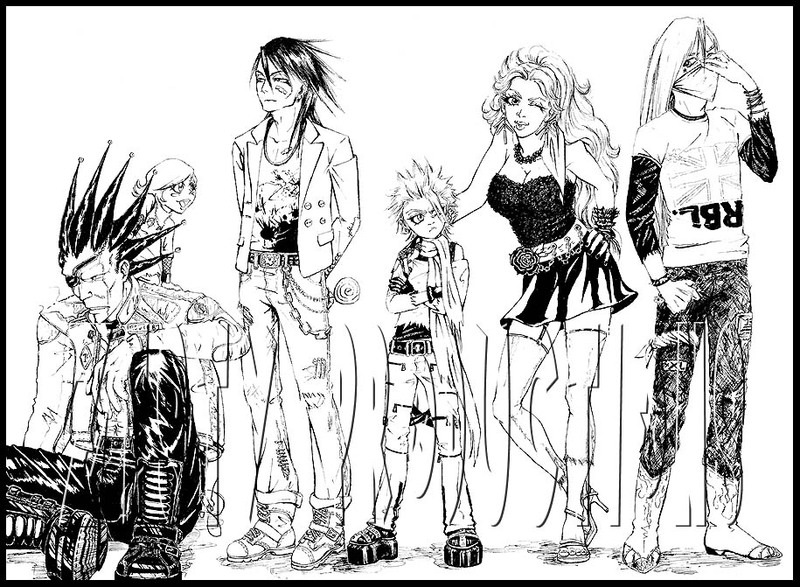 Bleach Shinigami in mostly 1970's punk style! -Kenpachi is a Hell's Angel. Yes. -Byakuya is such a tease . . . .
-Hitsugaya likes the part where you put on the eye makeup. -Matsumoto IS Cyndi Lauper. Minus some of the weirder clothes. But those are Cyndi's earrings, tanktop-thing, and belt, and wrist-and-hand thingers. its awsome..soo many details...girl...i really love your art!! WOW o.O awesome !!!!! *faves* you have to colour it ;D it's sooooo awesome ! punky....0.0 BUT THAT'S AWESOME XD FAVS MORE !! !